Play’n GO is set to release its new Aztec civilization-themed slot Phoenix Reborn this mid of April. Players are in for big prizes as the game has a default RTP of 96.50% and a slot structure of 5 reels running across six — right, not three! — rows of Aztec-inspired symbols. When spinning the reels, the goal of the player is to match three to five regular symbols on any of the 40 active paylines that pay from leftmost to right. To give players bigger changes of forming winning combos, Play’n GO brings the Phoenix Wild, a special game symbol which expands to cover the entire reel where it lands on. The Wild substitutes for any symbol except for the Scatter. Other special icons include the Female and Male Aztecs. These are 1×6 symbols that should appear on only at least two reels on a payline to award the player coin wins that are bigger that what regular icons can give. The best part of the game is when the Rise of the Phoenix feature is triggered. This happens when three, four, or five Scatters appear on any part of the 5×6 matrix. In this feature, seven, 12, or 20 free spins are awarded, respectively. Even better, each free spin comes with at least one Wild on a random reel. With all these features, players can win up to 5,000 times their bet! 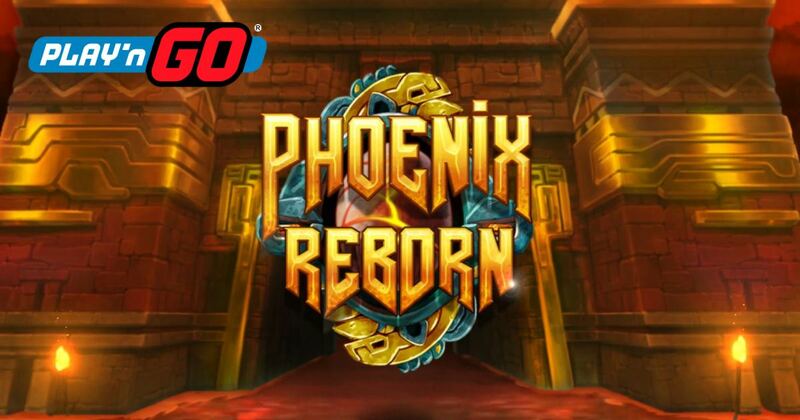 Phoenix Reborn is scheduled to be released for real-money gaming in Play’n GO’s partner casinos on April 16, 2019. Try Play'n GO slots for FREE!